Nippon Shikizai Inc. participated in the Make Up in Paris 2016 Exhibition, at Carrousel de Louvre, Paris, France on 9th and 10th June 2016. 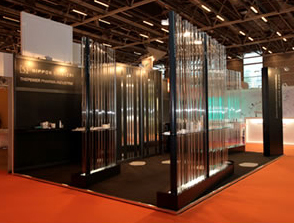 In our booth, we presented a lot of new products on the theme of "Transparence & Personality". The new types of transparent textures provide the personality to each face camouflaging the imperfection and creating the radiance on the face. We were very pleased to have many visitors to our booth. Nippon Shikizai Inc. participated in the MakeUp in Paris 2015 Exhibition, at Carrousel de Louvre, Paris, France, on 18th and 19th June 2015. The highlights of our presentation at the exhibition were popular products from the cosmetic market in Japan, such as base makeup product that creates an airy and fresh feeling, long lasting lipstick which has very smooth and melty texture. We presented these products to the international market and were pleased to have so many visitors to our booth. 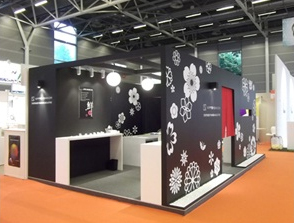 Nippon Shikizai Inc. participated in the exhibition MakeUp in Paris 2014. The exhibition was held at the venue near Louvre Museum in Paris, France, for 2 days beginning on June 12th, 2014. Wide range of products, from watery-based formula to provide fresh feeling on face, to powder-based formula to give smooth and moisturized feelings, were exhibited. These demonstrated the high level of our proposal capability and technological ability. We were very pleased to have many visitors to our trade booth and our products received much attention. Nippon Shikizai Inc. was once again a participant and created a display space concept based on “Be Happy & Colorful”. Their trade booth was decorated in vivid colored windows, laid out to overlap each other, generating a remarkable and memorable impression for visitors. In their displays of Nippon Shikizai product samples, three categories were presented; “BABY SKIN CARE” for that newborn baby skin appeal, “FLAWLESS COMPLEXTION” for creating flawless complexion, and “HAPPY COLOR COLLECTION” for that glamorous appeal. 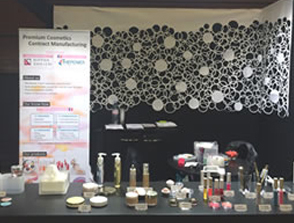 Many visitors at Beyond Beauty Paris appreciated the presentation style and a balanced displays of products that included skin-care products, high SPF sunscreens, base makeup, and point makeup. 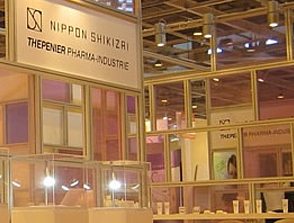 Nippon Shikizai Inc. was again a participant at Beyond Beauty Paris 2012, an annual international cosmetic trade show held in Paris. The event was held this year from the 10th to the 12th of September. Nippon Shikizai created a display space in the Japanese Modernism style, inspired by traditional Japanese beauty. Their trade booth was vividly highlighted in red accent with black background, creating a remarkable and memorable impression for visitors. In their displays of Nippon Shikizai product samples, four categories were created; SKIN CARE, BASE MAKE UP, EYE MAKE UP and LIP MAKE UP. 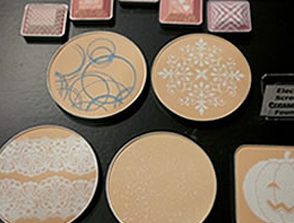 Mat and Radiant types were provided for each product sample, so the differences in application could be seen. 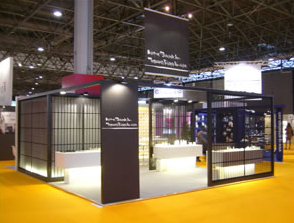 The overall outcome was very satisfying as this display style was so highly appreciated by visitors attending Beyond Beauty Paris 2012. Beyond Beauty Paris is a major cosmetic tradeshow held every year in Paris, France and has gained the attention of the world's cosmetic companies. 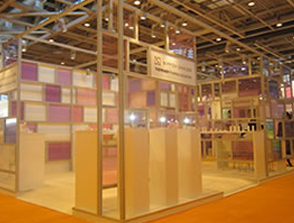 The show this year, in 2011, had many exhibitors, from over 450 companies, participating worldwide and from various sectors of the cosmetic industry, including Contract Cosmetic Manufacturers, Cosmetic Material Manufacturers, Cosmetic Container Manufacturers, and others. We were very pleased to have many visitors to our trade booth, from not only EU countries, but also the USA, Canada, UK, and other Asian countries. Along with our subsidiary Thépenier Pharma Industrie S.A.S., we created a display space in the Japanese Modernism style, inspired by the traditional Japanese beauty. 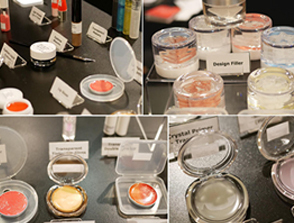 We exhibited make-up and skincare products that provide high-performance qualities with excellent touch and feel. Nippon Shikizai has always enjoyed a high reputation among it’s customers. 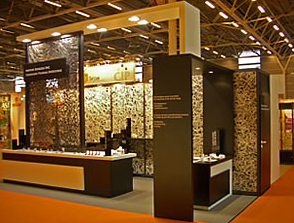 We are grateful that many visitors appreciated the presentation and style of our trade show booth. Our showcase was organized into 5 display zones, categorized by textures and using the theme of transparency. The organization of our display presentation allowed visitors to easily find our products, touch and use our products directly, confirming the quality of our products. Beyond Beauty Paris is a major cosmetic tradeshow held every year in Paris, France and has gained the attention of the world’s cosmetic companies. The show this year, in 2010, had many exhibitors, from over 530 companies, participating worldwide and from various sectors of the cosmetic industry, including Contract Cosmetic Manufacturers, Cosmetic Material Manufacturers, Cosmetic Container Manufacturers, and others. We were very pleased to have many visitors come to our trade booth, from not only EU countries, but also the USA, Canada, UK, and other Asian countries. We are grateful that visitors appreciated the presentation style of our booth. Our showcase was organized into 5 display zones so that visitors could easily find products. Our display presentation also allowed visitors to touch and use products directly, confirming the quality of our products by their own hands. 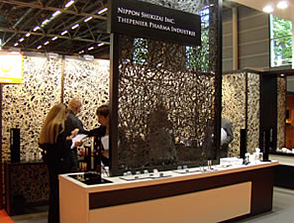 Nippon Shikizai participated in Cosmeeting | Beyond Beauty Paris 2008. 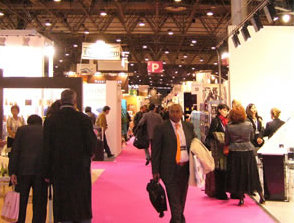 Cosmeeting is a major European cosmetic trade show and exhibition, held every year in Paris, France. 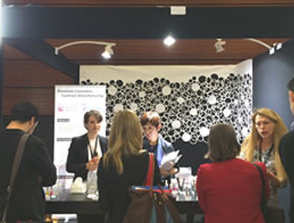 Over 700 companies attended, mostly from Europe, exhibiting the latest make-up and perfume product trends. Along with our subsidiary Thépenier Pharma Industrie S.A.S., we created a display space in the Japanese Modernism style, inspired by the tradition of Japanese beauty. To expand our market in Europe and the USA, we introduced new skin care products, as well as other quality premium cosmetic products. 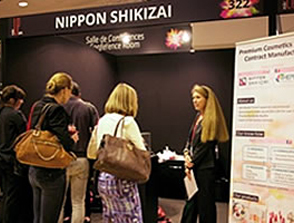 Nippon Shikizai has been presenting its research to IFSCC for nine times, since 1994.